According to Ed Byk of Daimler Trucks North America, Detroit Diesel Corp. marketing, “There are a few advantages that four-cylinder engines provide for vocational customers. 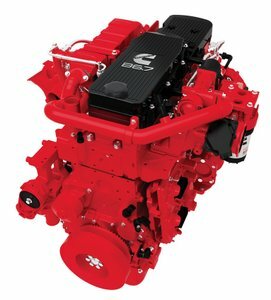 Typically four-cylinder engines are more fuel efficient and their smaller size can provide some benefits when it comes to packaging or what type of truck chassis it can be installed in. Customers are definitely receptive to the idea of four-cylinder engines in commercial vehicles. 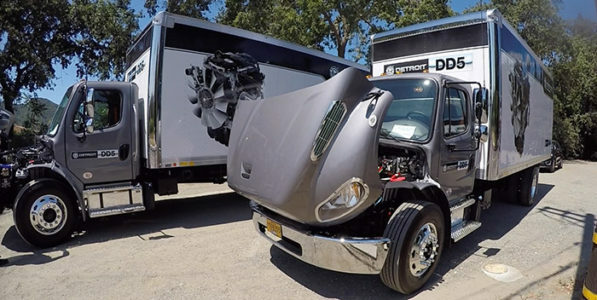 The DD5 is the first in-house engine from the new Detroit medium-duty engine group (MDEG). Available at launch for pickup and delivery application in 210 HP, 575-lb.-ft. and 230 HP, 660-lb.-ft. ratings, the DD5 will eventually power a variety of vocational applications, according to Detroit. 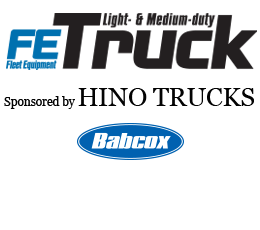 Variable cam phasing (VCP) technology, unique to the DD5, helps optimize thermal management for improved aftertreatment performance, essential in low-load, stop-and-go applications like pickup and delivery, the company says. Ford offers a commercial vehicle lineup from Class 1 to Class 7, and provides a spread of engine choices to match the right engine to the specific applications.